Carpooling is an environmentally-friendly way for Georgia Tech students, faculty, and staff to commute to campus and also to share the cost a campus parking permit. The carpool permit costs $100 less than the Annual Individual Permit price and can be split among carpool members. Georgia Tech students and employees can find carpool partners through the Georgia Commute Options website and their GA Commuter app (GAcommuter in the app store, currently only for iOS). The website offers the opportunity to choose only within the GT community. Georgia Commute Options also provides additional commuter support to employees, such as incentives for taking alternative commutes, including carpooling. For students or employees that wish to borrow a vehicle for brief periods, Zipcars are available at several locations throughout campus. Zipcar is a membership-based car sharing company that provides members access to a variety of new fuel-efficient vehicles. Georgia Tech's collaboration with Zipcar provides convenient pickup locations and discounts for students, faculty, and staff. Use this boundary map to help determine if your address qualifies for a carpool permit. Carpool members must live outside the 1/4 mile boundary of campus. Learn both the captain's and members' roles for applying for carpool permits. Learn more about the rules and regulations for PTS' carpool permit program. Read through our carpool permit frequently asked questions. What is the purpose of the carpool program at Georgia Tech? Reduce the total "vehicle miles traveled" by the Georgia Tech community. Assist in reducing the total tailpipe emissions to help improve Atlanta's air quality. Assist in reducing traffic congestion throughout metro Atlanta. All carpool participants must be Georgia Tech faculty, staff or students who do not reside on the Georgia Tech campus and do not live within a 1/4 mile buffer of Georgia Tech's Campus. 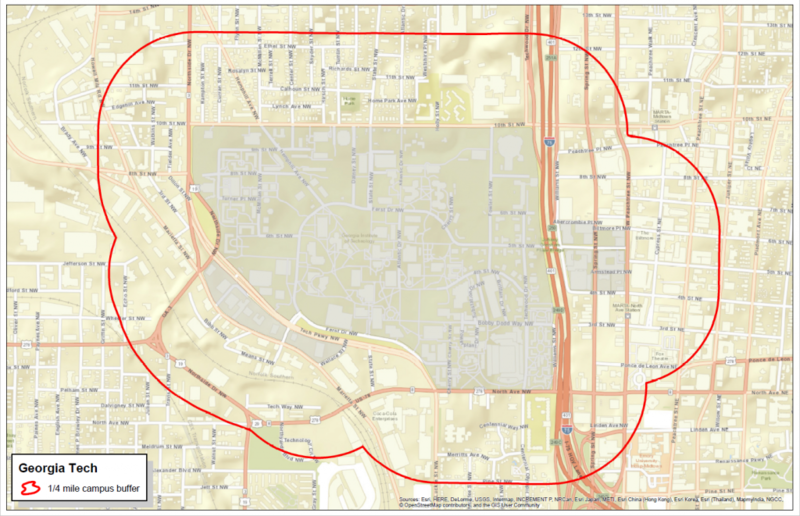 View the carpool 1/4 mile buffer map of campus. How much will a carpool permit cost? Carpool permits are $100 less than the Annual Individual Permit and are prorated throughout the year. Click here to view the current permit price list and proration schedule. Where can I park with a carpool permit? The carpool permit allows access to one parking location (selected during the application process) for everyday use. In addition, from 5:00 p.m. to 8:00 a.m. on weekdays and on weekends, carpool participants may park in any ungated parking lot using their carpool permit. In addition, the carpool permit may be used to enter the Campus Recreation Center deck (W10) after 5:00 p.m. and on weekends. All efforts will be made to accommodate reasonable needs of the carpool participants. Will all carpool members receive a permit? One permit hangtag for the carpool will be issued to the carpool captain. This hanging permit must be appropriately displayed while carpool vehicles are parked on the Georgia Tech campus. Individual BuzzCards will not be activated to allow access to gated lots. How do carpool members access gated parking lots/decks? Your carpool permit will have a chip embedded inside of it. Hold the permit up to the electronic prox card reader located at the gated entrance for access. Can I register for my own individual permit and also be a part of a carpool? No. To be eligible to participate all members of the carpool must turn in their current parking permits (if applicable), thus canceling their present parking access. Can I participate in more than one carpool? No. Carpool participants may only belong to one carpool group. What are the carpool captain’s responsibilities? Applying for the carpool online. Inviting other people to join the carpool as members. Paying for and picking up the carpool permit. Splitting the permit fee and collecting any fees due from the other members of the carpool. Notifying the Parking and Transportation office if members leave the carpool or if the carpool disbands. Filling member vacancies within 14 days if the carpool has fewer than two (2) members. Reporting any malfunctions of the carpool permit to the Parking and Transportation Office. Can more than one vehicle be associated with a carpool permit? Yes. 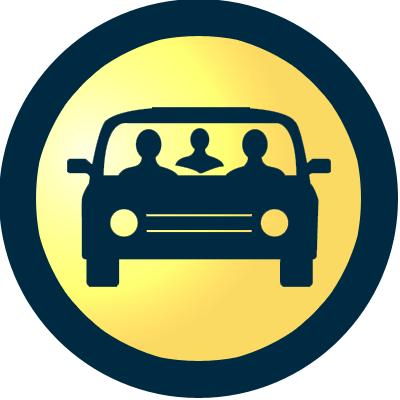 Carpool captains and members may register as many of their own vehicles as needed. Remember to place the hangtag in the vehicle that is being driven to campus. Vehicles not displaying the carpool permit are subject to citation. If one of the vehicles in a carpool is ticketed or towed, who is responsible? Each vehicle associated with the carpool permit will be registered under the owner’s name. (Please do not register your carpool partner's vehicle to your account.) Carpool captains and members are responsible for their personal vehicles’ citations and towing fees. What should I do if my carpool participant leaves Georgia Tech? If a carpool member leaves Georgia Tech, the carpool captain will have 14 days to fill the vacancy if the carpool is fewer than two people. If the vacancy remains open after 14 days, the carpool will be considered void and the captain holder will be assessed the full, prorated fee for the parking permit. If the carpool originally consisted of three or more people, please notify PTS of the leaving member, but the carpool may remain active with two or more people. If the carpool captain leaves Georgia Tech, the carpool will be disbanded and members will have to re-apply for a new carpool permit. How do I add or remove members from my carpool? 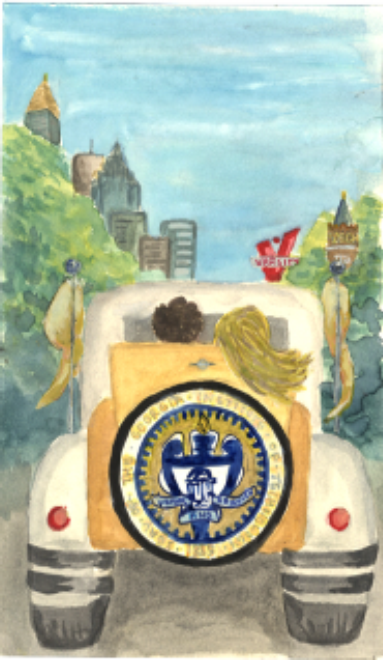 The carpool captain should contact carpool@parking.gatech.edu with a request to add or remove carpool members. What should I do if I need to drive alone or if I forget to bring the carpool permit? Each carpool participant may obtain up to 12 complimentary days of parking per permit year. Upon customer request, daily parking passes (good for one day of free parking) will be issued in the already assigned parking area. The day passes can only be requested at Parking and Transportation's Office on the day in which parking is needed. 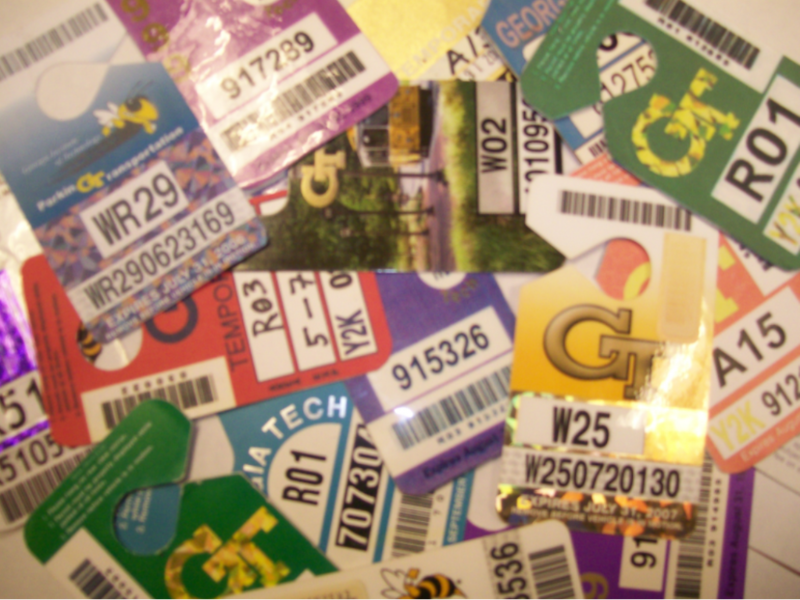 The passes may be used all in one month or spread out over the year. Free day passes are non-transferrable and expire at the end of the permit year. How will I be notified that my carpool has been approved or denied? The carpool captain and members will be notified by email once a carpool has been approved or denied. During the registration period for the upcoming permit year, carpool permits may not be processed by PTS immediately. If carpool captains have not received a denial email, the application is still pending. Captains will receive an approval or denial email once the application is processed by PTS. Who is not eligible for a carpool permit? Persons already in another carpool. Persons listed twice in the same carpool. Persons registered for a carpool permit and a regular permit. Persons living within 1/4 mile of campus. Any participant providing fraudulent information in order to obtain a carpool permit will be removed from the carpool and the following actions will be taken: the vehicle displaying the fraudulently obtained permit will be impounded, issued a citation, and the owner of the vehicle will be required to pay for the prorated use of the parking facility from the date the permit was issued through the date the fraud was discovered. In addition, students will be reported to the Dean of Students for disciplinary action. Employee infractions will be reported to the employee's supervisor.